Fig. 14. 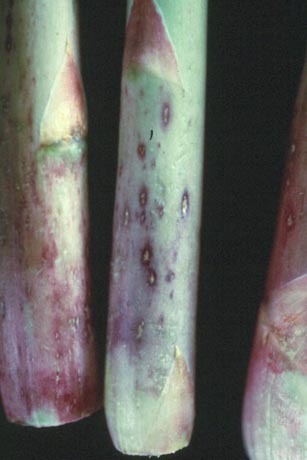 Purple spot lesions caused by Pleospora herbarium on asparagus spears (courtesy of D. Johnson).